With WebNMS CTM, experience a multi-faceted solution covering all aspects of tower site management comprehensively. Be assured of operational excellence, heightened security and a bird's eye view. Managing cooling loads has become increasingly significant. 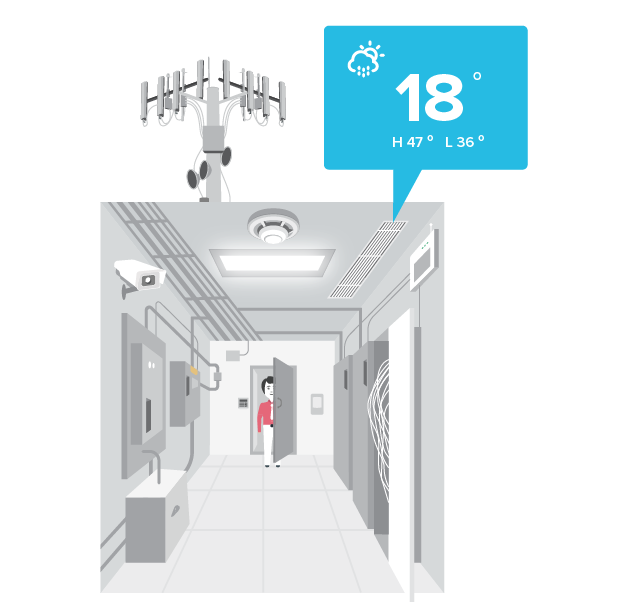 Intelligent temperature sensors installed in the cell tower room enables precise control of air temperature range. A sensor mounted on each equipment ensures that all the equipment are operating within the suggested temperature level. Adding to this, WebNMS CTM integrates temperature sensors with the cooling system and this helps maintain optimum temperature within the cell tower room reducing cooling costs. Monitoring energy consumption is vital as energy costs form a huge chunk of operating expenditure in managing cell towers. WebNMS CTM keeps track of the three power input sources viz main power, generator power, and battery power. Get a comprehensive picture of energy usage pattern, power availability, power outages, duration of backup power level, devices consuming maximum power, and generator fuel level. 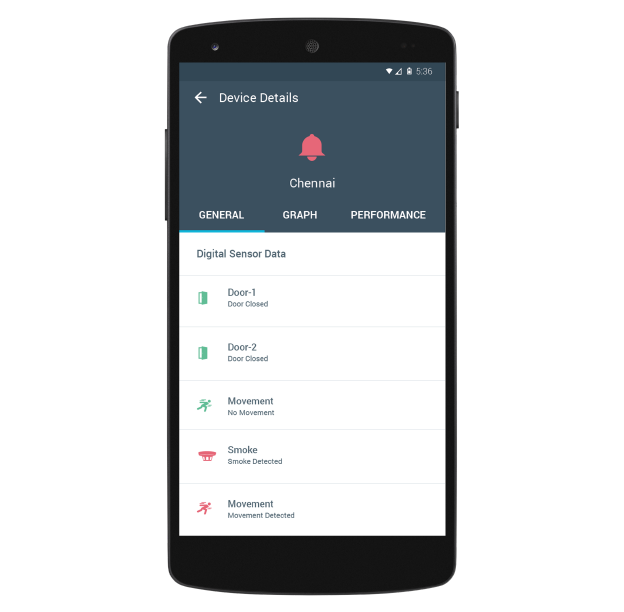 The system triggers alerts and prompts swift action whenever any of these factors threaten the overall efficiency of the tower. 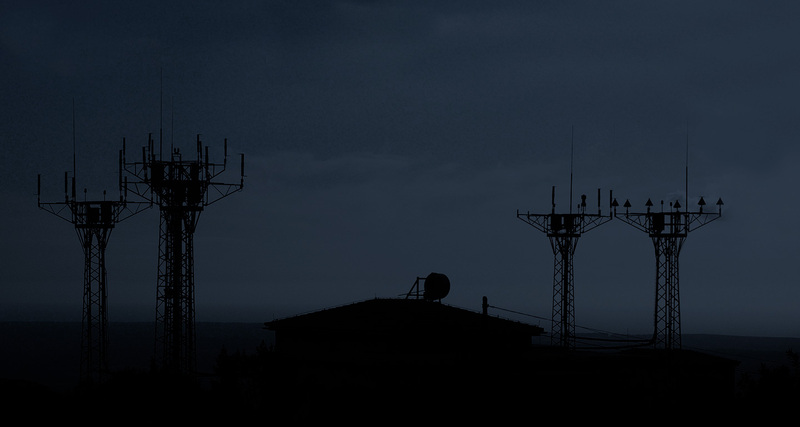 As telecom towers rely on battery backup to maintain constant power until the grid is restored. The RMS solution also fetches and analyses data from battery backup. 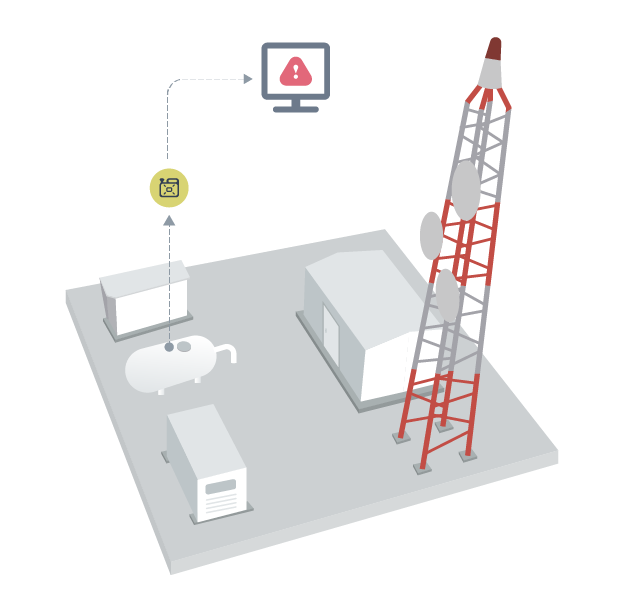 WebNMS Remote Monitoring solution provides detailed visibility of assets, and protects the cell tower from mafias and any physical security threats. On-site surveillance camera record suspect movement outside the site. 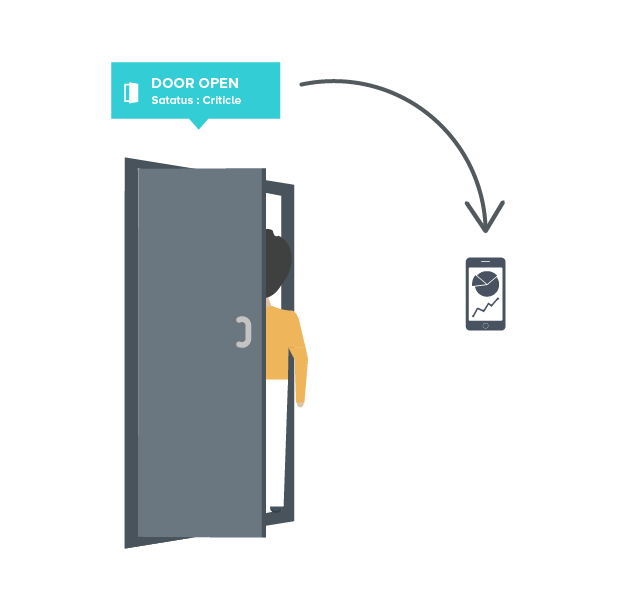 A door monitoring unit is configured to trigger alarms when a door is opened by an unauthorized person. This is connected to WebNMS central management system where the collected environment data is escalated for further action. Any tampering of the door or devices inside the site raises an alarm to the operator. The proper maintenance of supporting equipment in a cell tower is highly critical. Ensuring maximum uptime demands 24/7 monitoring of the devices. When a device fails, it can take down mission critical operations. 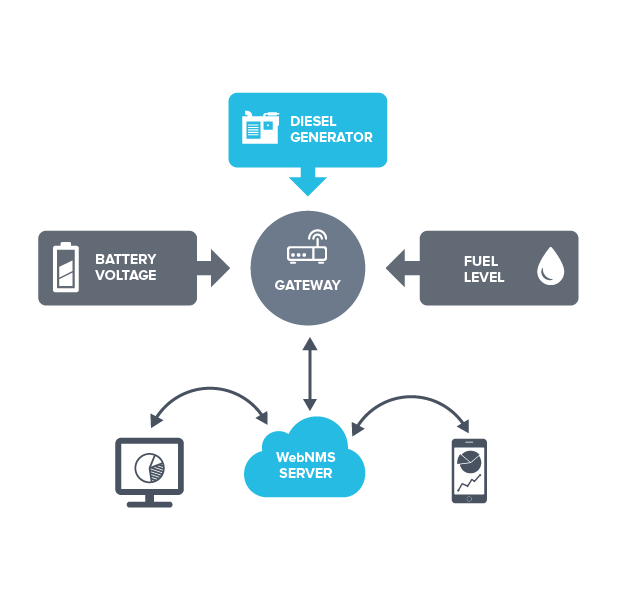 CTM solution enables operators to take control of generators, battery status, fuel tanks, and cooling system. 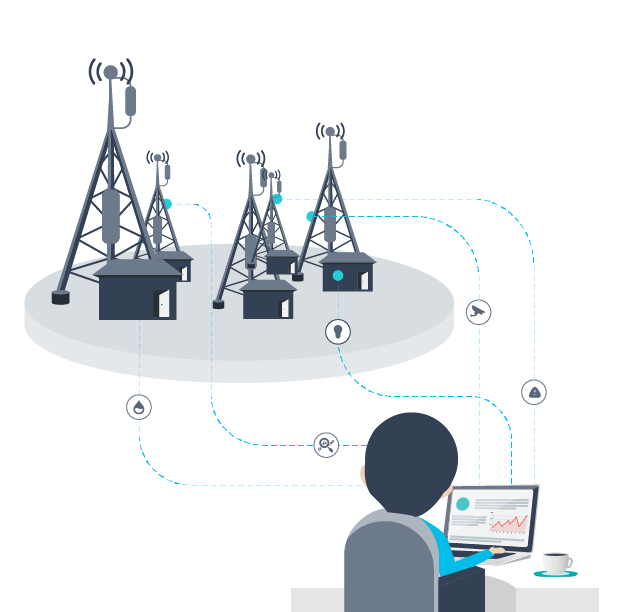 When a remote cell site goes down, the field technician will receive an emergency alert with complete and accurate information of site location, device that has gone down and the root cause of its failure. WebNMS CTM facilitates the operators to optimize the use of alternative energy sources. Power sources can be remotely turned on/off remotely. For instance, operators can remotely switch the power source from generator to battery backup to reduce fuel cost and greenhouse gases emission. 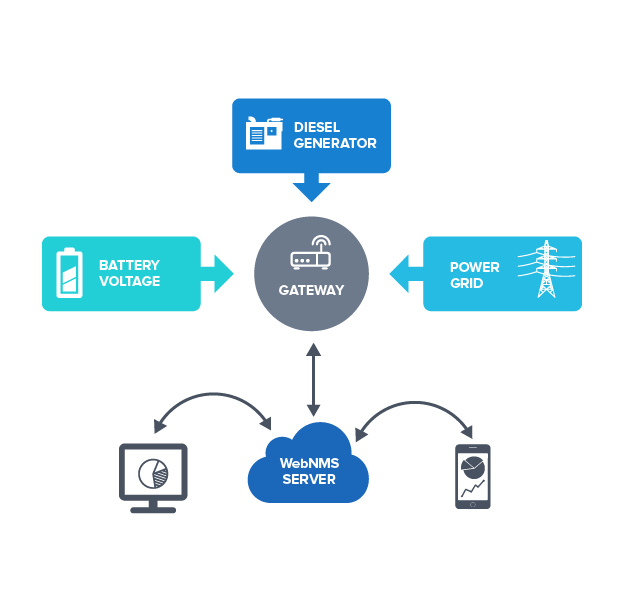 As significant proportion of sites are located in off-grid locations and are dependent on diesel, effective monitoring of diesel level and maintenance of battery will hold the site up. Critical alarms generated from the sensors become relevant only when they reache the right person at the right time. Lack of visibility on an event that could possibly lead to system failure and critical notifications from various locations on a single console- facilitates faster, proactive approach to system problems. WebNMS centralized alarm system provides a single console that ranks notifications based on severity and prevents downtime. For instance, it may be acceptable to concede battery dry-up when fuel level is ample, but not if fuel level is also down. 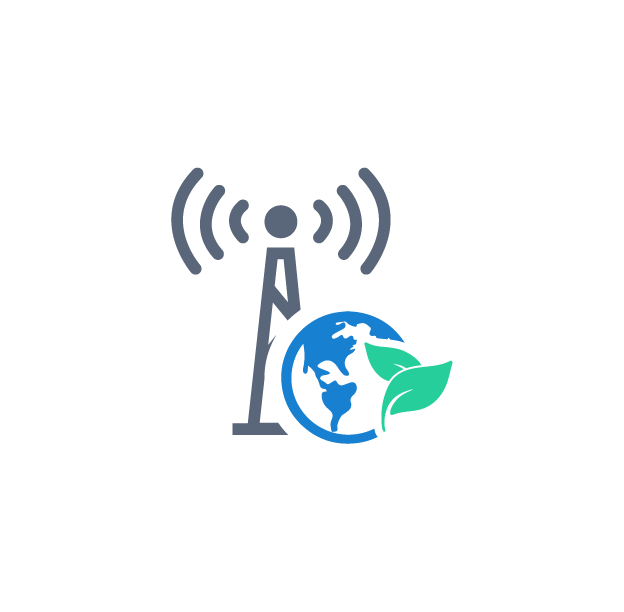 Due to enormous energy consumption, cell tower sites have a large and growing carbon footprint. A green telecom tower is one that operates with maximum energy efficiency and minimum environmental impact. Operators are beginning to get pressurized to resort to energy-efficient business models driven primarily by the government initiative to curb environmental damage. These carbon targets can be achieved with the aid of WebNMS Cell tower Manager for effective energy management of passive assets. Big data and analytics capability of WebNMS Cell Tower Manager provides complete visibility of energy consumption across sites. 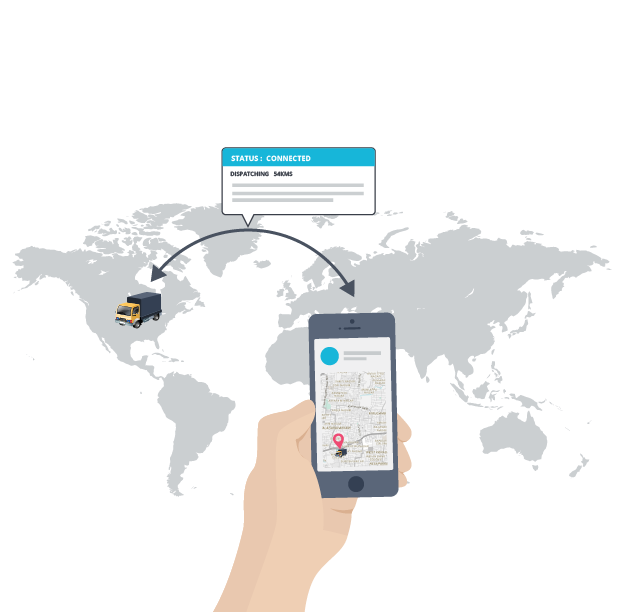 Bring in transparency over the supply chain. On many occasions, inaccurate alarms result in notifying wrong vendors and dispatching field technicians without information on a potential failure. WebNMS CTM identifies the issue and notifies the right technician with precise problem, so that he is send out with right repair parts. Operators are informed when the fuel level of generator needs to be refilled. This saves time & avoids SLA penalty. Remote configuration and management of towers gives increased visibility into site assets/ operations. 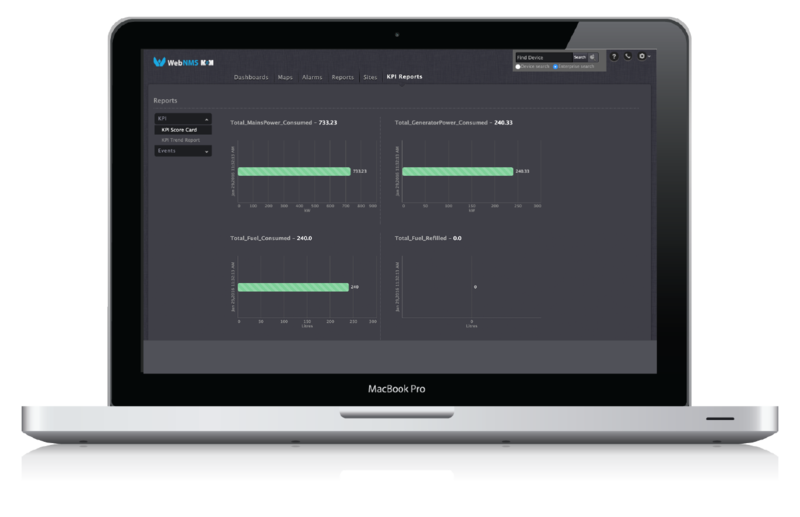 WebNMS Remote Monitoring solution enables remote data collection and leverages domain analytics to deliver actionable business insights. For instance, operators can control power sources, adjust site temperature, and can schedule automated actions remotely. A fire or fluid leak can cost thousands of dollars in equipment damage and affect productivity. Leak detection systems connect with sensors positioned in cell tower site detect any leaks across the site and trigger alarms to prevent damage.